Celebrated actor and director Sir Kenneth Branagh presents this year-long, five-play season at the Garrick Theatre. 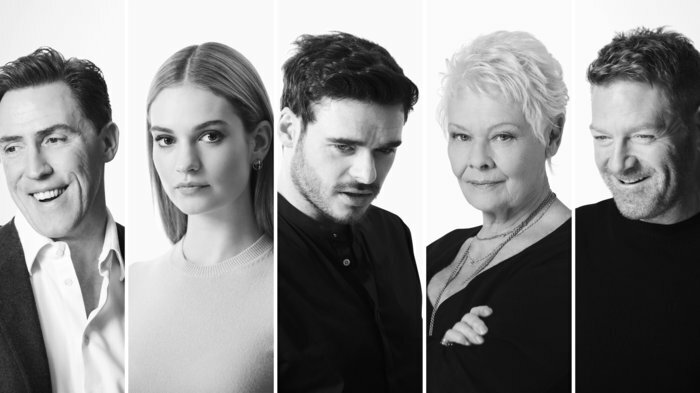 Two years in the making, the season launches in October 2015 and brings together an exceptional cast of actors, including Judi Dench, Rob Brydon, Richard Madden and Lily James. Branagh, who will also perform in some of the productions, collaborates with director Rob Ashford and designer Christopher Oram for the season. Rob Ashford directs Kenneth Branagh in this production of John Osborne's The Entertainer, concluding Branagh's year-long, five-play season at the Garrick Theatre. In the production Branagh plays old-time British music hall performer Archie Rice - a role strongly associated with Laurence Olivier. As he begins to sink into final defeat, Rice schemes to stay in show business and the seedy glamour of the business is exposed. The four preceding plays in the Garrick season are The Winter's Tale, Harlequinade, The Painkiller and Romeo and Juliet. From cheap budget hotels to luxury 5 star suites see our special offers for hotels, including Chesterfield Mayfair Hotel from 59% off.